It’s time to restock your Kleenex: Netflix’s Queer Eye is coming back to the small screen with an all-new season. The show has been renewed for season three, Netflix announced Friday, and this new eight-episode arc will follow the Fab Five all the way to Kansas City, Mo. 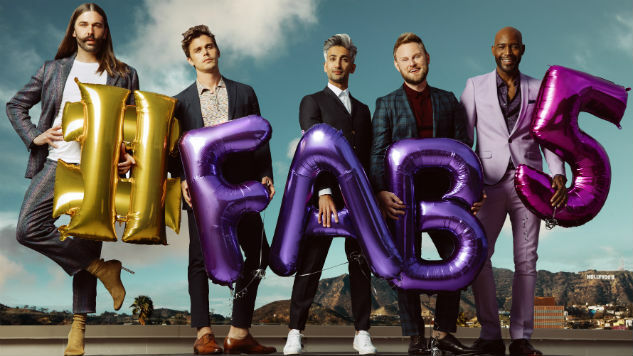 This news comes just one day after Queer Eye was officially nominated for four Emmys, including Outstanding Structured Reality Program. Fab Five co-host Jonathan Van Ness was additionally nominated as part of his Funny or Die web series Gay of Thrones. As the show’s theme often reminds us, things keep getting better! Van Ness and co-hosts Karamo Brown, Antoni Porowski, Bobby Berk and Tan France are probably piling into the group’s signature black truck as we speak, since season three starts production July 16. Check out the show’s official season three announcement on Instagram below, plus Van Ness’s adorable reaction to the Emmy nomination news. Get in, henny! We’re taking a road trip. Are you ready for Season 3? Kansas City, Missouri HERE. WE. COME.